Ship Shape: A photo gallery by Hayley Young. 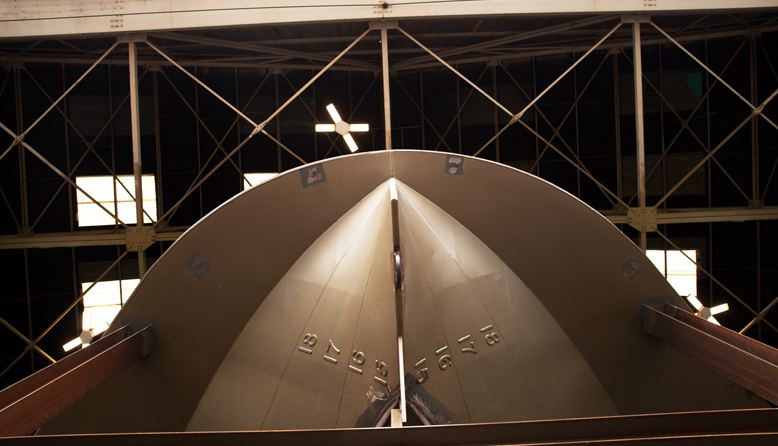 You're looking from below at the forward (and aft) end of the hull of the MV Suquamish, the newest vessel in the Washington State Ferries fleet. 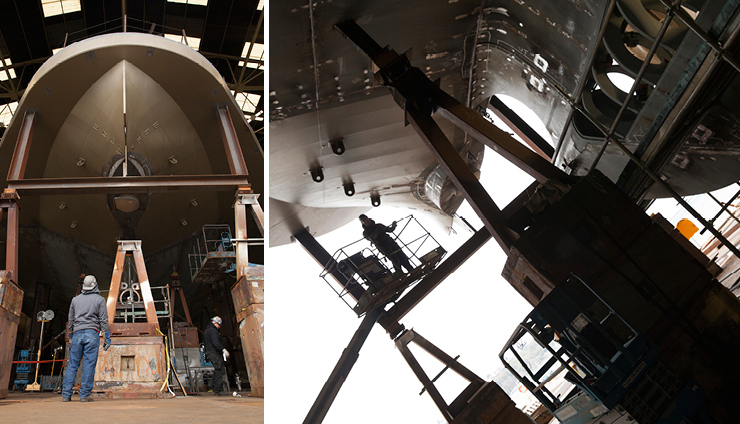 Being built concurrently with the MV Chimacum at Vigor on Harbor Island, the 362-foot-long Suquamish will be an Olympic Class car ferry capable of carrying 144 vehicles and 1,500 passengers. The Suquamish is scheduled for delivery in the fall of 2018. Click through to see more images.